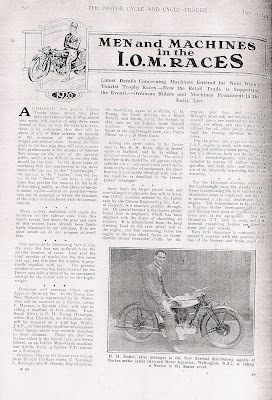 The recent ITV4 programme covering Formula One commentator Murray Walker's reminiscences provided tantalising viewing of a few seconds' duration of the admirable Stanley Woods on his 1926 TT winner. It would be good to see more - if it exists. The twin of his bike was pictured earlier on the blog, a pannier tanked dry sump OHV machine with registration number ON6793. Until recently, I had never seen an actual, as opposed to publicity, photograph of this particular machine but here it is in 1926 with H H Moller (nattily dressed with wing collar) aboard. Moller was the Manager of the Norton distributors in Wellington, New Zealand and retired in the Senior event. 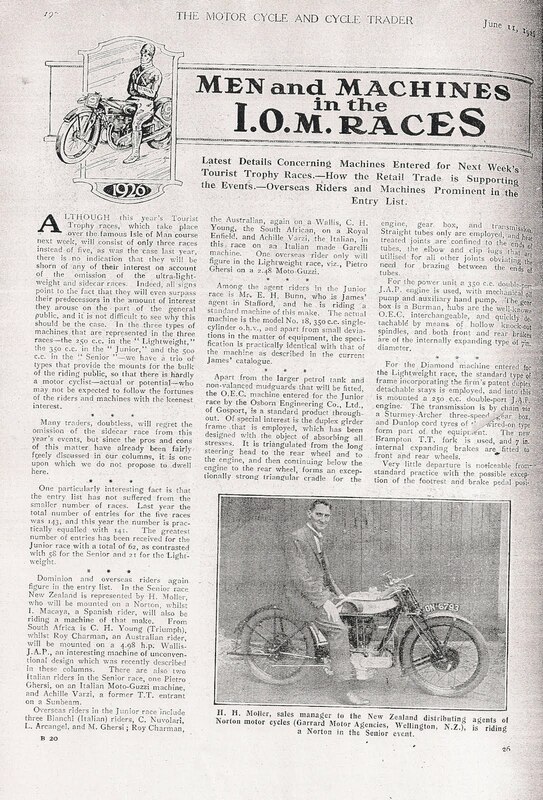 So what became of Stanley's actual bike, which had registration number ON7170? Watch this space for the further story!